Meeting Mickey & Minnie at a “meet & greet” before the show. Disney On Ice: Let’s Celebrate features familiar faces, and takes you to far away places. How else can you go to Carnaval with Mickey, Japan’s spring festival with Minnie, and end up in jumpin’ New Orleans with them both?! While Princesses do not get my boys excited, they were certainly enthralled with Jack Skellington & his friends from Halloweentown hosting a party for the villains. Jack stole the show (hint to Disney- we want more Jack!) Other characters that my kids loved were the gang from Toy Story, Pinocchio, & Stitch. We had some issues with obstructed view (tall people with kids who squirmed and sat on their knees), but were able to get that fixed for the 2nd act. If you have small(ish) kids, definitely opt for seats on an angle vs. floor seats.. The show runs at Pepsi Center until Sunday, December 12. 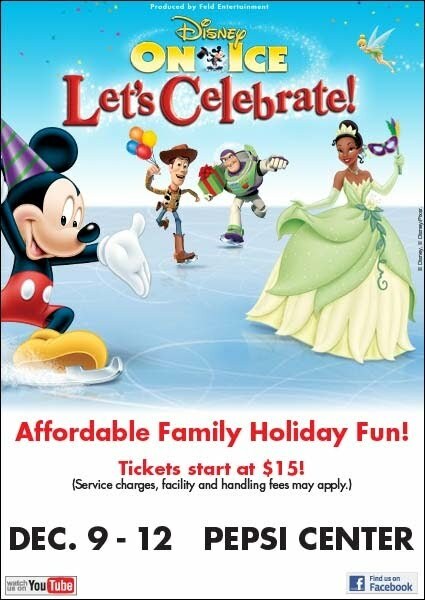 Tickets are still available (contact TicketHorse at www.TicketHorse.com/DisneyOnIce, by calling 1.866.461.6556, or the Pepsi Center Box Office. ), and start at $15. Parking will cost you $10. 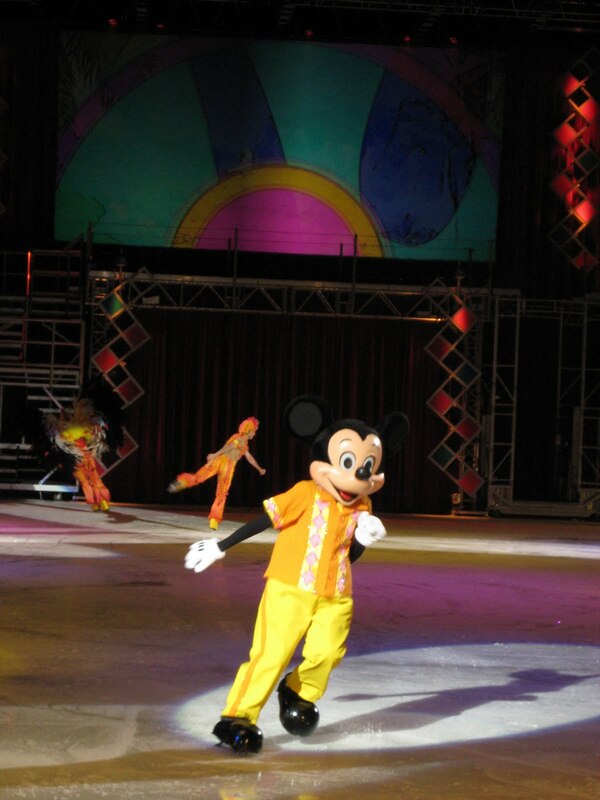 If you want a case of Disney Fever, or you just want to be entertained, Mickey is waiting for you! Let’s Celebrate!, the current Disney On Ice show is just a week away. It’s not too late to get your family some tickets! My two boys, (ages 3 & 5) loved the last show. Bright colors, familiar characters & tunes make it enjoyable for everyone. Come celebrate your Un-birthday with the Mad Hatter, take your princesses & princes to the Royal Ball, and have a Halloween haunt with Disney villains. Tickets are on sale through TicketHorse at www.TicketHorse.com/DisneyOnIce, by calling 1.866.461.6556 and at the Pepsi Center Box Office. Please share with me who your favorite Disney character is. For me, it’s Mulan. Feisty warrior trying to find her place. Who is yours? Disclosure: Feld Entertainment, Inc. generously provided me with 4 tickets for my family to attend Disney on Ice in exchange for this post.